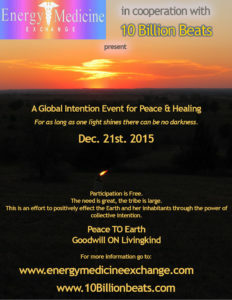 Join us in a drumming celebration for peace and healing this Winter Solstice. The need for peace and healing has only increased since the last newsletter. With the need comes the temptation to be discouraged, to question our efforts. How can people of goodwill make a difference? Difficult times cause us to retreat into our belief systems. It is there we find solace and the strength but we must not let it become a way to divide us one tradition against another. 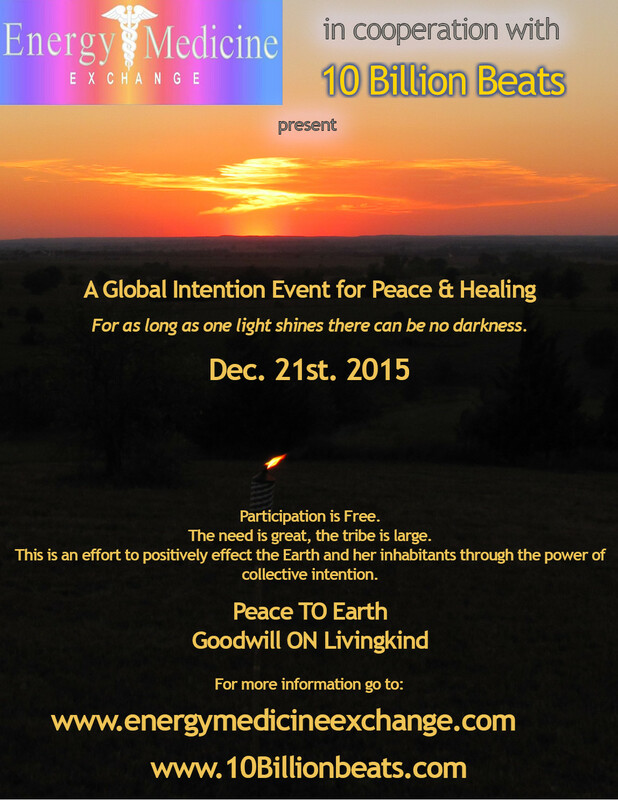 This entry was posted in 10 Billion Beats, drumming, winter solstice, world peace, yule on December 9, 2015 by Debbie. It’s that time again — the 3rd Friday in September. No, it’s nothing to do with football season. It’s time for the 10 Billion Beats Global Drumming! This entry was posted in 10 Billion Beats, drumming, earth healing, global drumming, shamanic drumming, world peace on September 10, 2013 by Debbie. This entry was posted in 13 Grandmothers, earth healing, Peace Week, world peace on September 15, 2011 by Debbie.